Both the Amazon Fire TV and the Fire TV Stick are wonderful devices, though they do lack some functionality. Many customers want to see a Fire TV browser present in these devices. With these internet-centric products, having access to a functional Fire TV browser makes perfect sense. A Fire TV browser would make accessing the content you want much easier. Thankfully, even though Amazon doesn’t pre-install this feature, you can integrate a Fire TV web browser without much effort. We must first create an Opener app for the Fire TV or Fire TV stick. This app takes the URL you enter, then opens it in the SILK browser. As you can imagine, this is not the ultimate way to access a browser, and it does lack some features. However, it’s a functional method that helps you access the internet from your Fire TV until the Silk browser is released in its full form. Until then, you can still use this FIRE TV browser method, and it works very well! 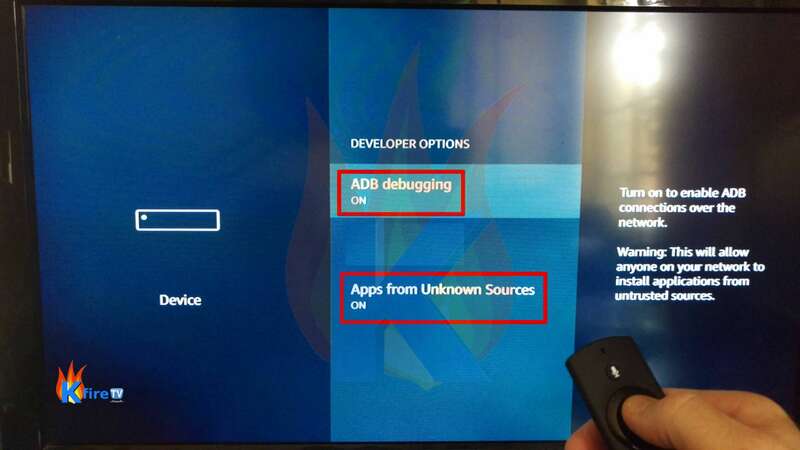 Sideloading apps onto your Fire TV or Firestick from within another app requires turning on Apps from Unknown Sources. Many of these “unknown” sources were taken down by DMCA notices over this past week, many of the notices hand delivered. This should be a warning to the wise; protect yourself within a secure VPN that has military-grade encryption and untraceable IP address redirection. You can read all about the anti-piracy crackdown in yesterday’s Hand Delivered DMCA Notices Shutting Down Top Kodi Addoons article. If you already have Unknown Sources enabled on your Firestick or Fire TV (during a Terrarium TV installation, perhaps? ), you may skip to the Downloader Installation. Within the Firestick / FireTV home screen, enter Settings at the top of the menu (cog icon). Neither on the Home screen nor sure where the menu is? 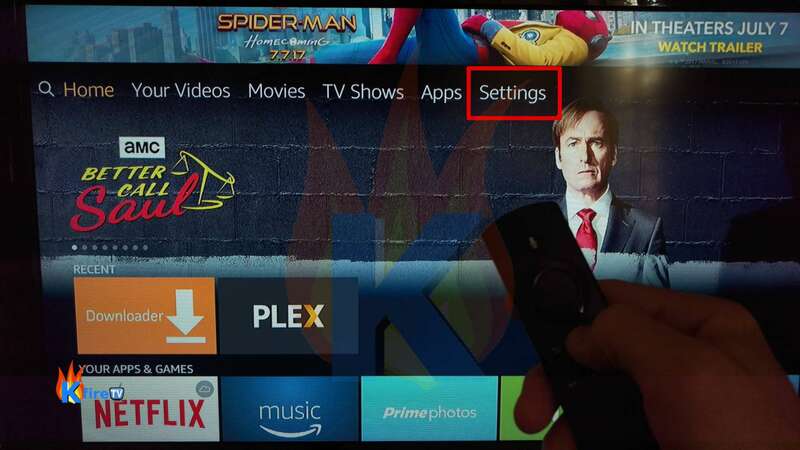 Press the “Home” button (House icon) on your Fire TV remote, then tap on the remote’s ring button on top until the horizontal menu with “Home – Your Videos – Movies – TV Shows – Apps – Settings” appears at the top of your screen. Then, go into the Device area within Settings and choose Developer Options. Now, choose “ADB Debugging,” then “Apps from Unknown Sources“. Toggle this setting to Turn On, then make certain you’ve enabled Apps from Unknown Sources. Before you start this process, you need to get hold of the SILK browser APK. You can do this simply by Googling “SILK browser APK,“ then selecting the latest version available. Even if you have the APK, it can be rather tricky to add it to your TV. You’ll want to install the Downloader app from the official Amazon App store. You can install the Downloader app simply by initiating a search and typing “Downloader”. Once you notice Downloader appear in the results, then you can select and install it. Once installed, you just have to enter the URL of the APK into Downloader, then select the Download button. Depending on the situation, you will need to open an URL in the browser, then move the cursor to click that download button. Wait until the process completes. You just have to enter the Downloader app again and then add “bit.ly/ftvopener” in the URL field. Do that, and then press the download button. This will initiate the download. Thankfully, Opener is a very small download, and you won’t have to wait for a very long time. 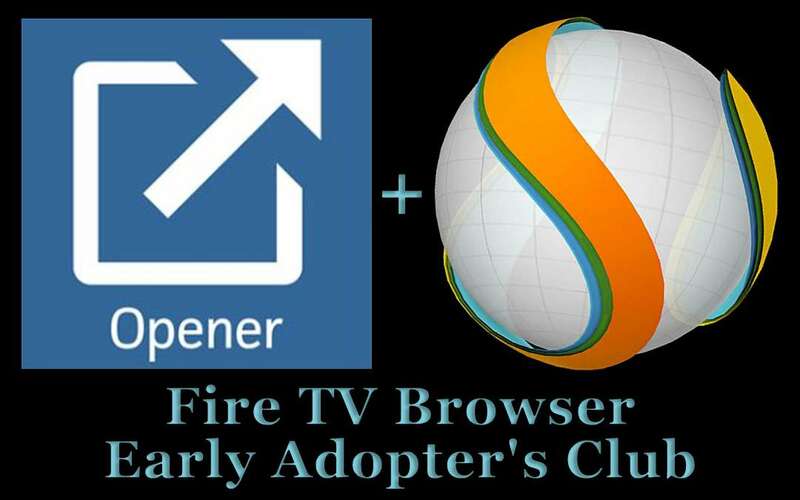 To start using the SILK FIRE TV browser, you will have to launch the Opener app at first. Enter the URL that you want to start loading, and then select the GO button. The idea is that the URL you added there would automatically load in the SILK browser. You can use the down and up buttons on your remote to scroll. To select a link, you must use the Select button on the remote, then use the necessary key combination shown on the screen. Then, note you’re free to adjust the browser settings for SILK in the FIRE TV Settings area. You can find this under Applications/SILK browser. Is this process going to work every time? As you can imagine, this particular FIRE TV browser is a workaround hack. There will likely be some issues and minor bugs rearing their ugly heads at times. But the entire process is designed to be very convenient, and will surely help you quite a bit. One thing to keep in consideration here is that the SILK browser and Opener method is reliable. You can access just about any site you want without any major restrictions. That alone makes it very easy for you to access desired sites without much effort. While utilizing hyperlinks with SILK requires a bit of getting used to, it does get you there. Being able to explore websites from the Fire TV or Fire TV Stick is very handy and convenient. 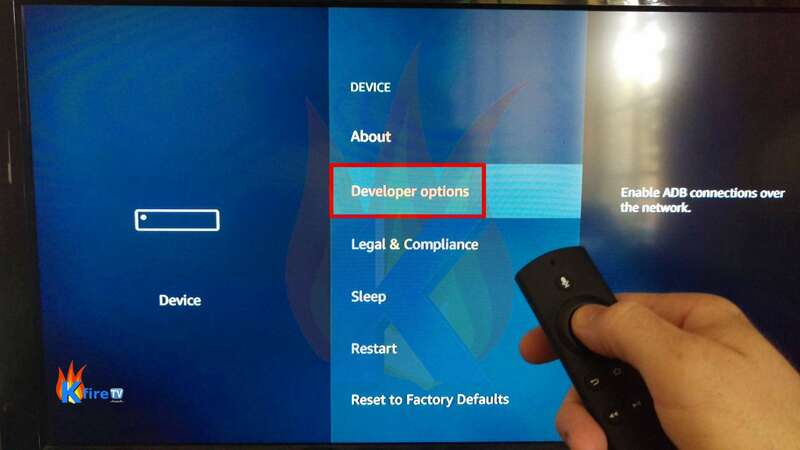 We recommend you give this unique approach a shot if you want to have a Fire TV browser before the official release. Sure, you can expect a few hiccups here and there, but this method is functional. Plus, if you do encounter any bugs, a quick restart of your Fire TV will be more than ok. Overall, the SILK browser and Opener solution is very simple. It can make it easier for you to use the sites you want on your favorite device. 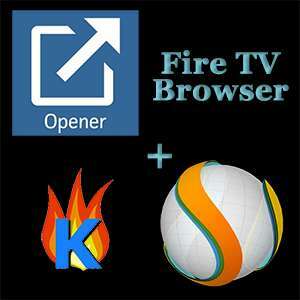 Until Amazon releases an official Fire TV browser, this method should prove very convenient and helpful! Browse the web with the Firestick or Fire TV from the comfort of your Lay-Z-Boy recliner. No more moving to a phone or computer to check listings or guides.